This is the week readers of the popular blog Simple Bites have been waiting for. 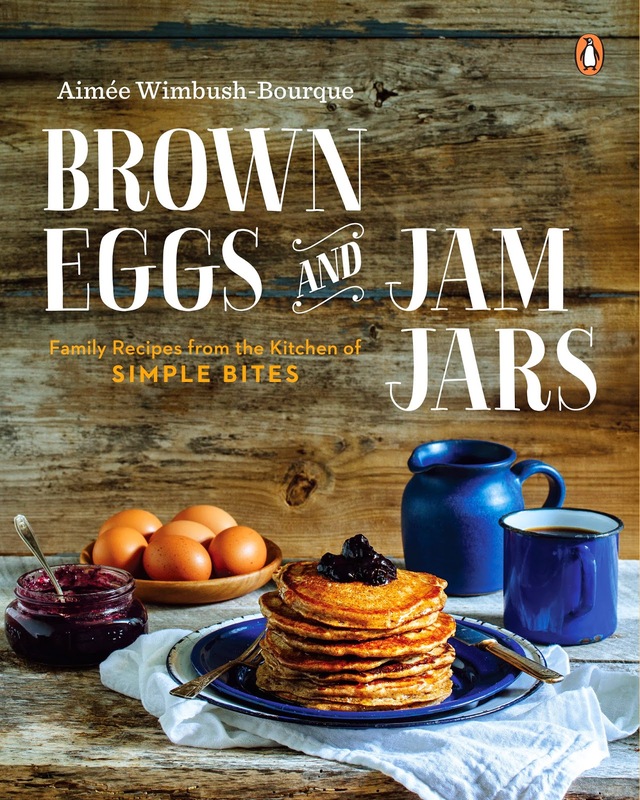 After 9 months of recipe development, writing, food styling and photo shoots, and several more months of editing and planning from her urban Montreal homestead, blogger and former chef Aimée Wimbush-Bourque released her first cookbook Brown Eggs and Jam Jars on Tuesday. Luckily for me, I got my hands on a review copy a couple weeks ago, and let me tell you the wait was worth it. Part recipes, part lifestyle, there's a lot to love and a lot to learn about in Brown Eggs and Jam Jars. It's about wonderful recipes made with whole foods, but it's also about the moments, big and small, throughout a year of seasonal eating and urban homesteading; handmade jams, backyard chickens and all. Mini essays on homesteading and cooking with kids are spread thoughtfully throughout the book, inviting you to sit down with a cup of coffee and learn a few new things about topics such as hosting a harvest dinner or how to talk to your kids honestly about meat. Brown Eggs and Jam Jars is a lot of cookbook. You won't want to jump in, get the recipe you want and get out. This book invites you to stay a while. This is good, simple family food in a cookbook you can read over and over again and still find something new each time you open it. It's February, so the first recipe I tried was Maple Cider Baked Beans (pg. 12). Talk about one pot comfort food. It's got the stuff in there that always makes baked beans good, things like bacon and molasses, but then it gets two really special ingredients that I think make this recipe an absolute winner - maple syrup and apple cider. It's like Quebec in a pot. After 4 hours in the oven, the end result is the baked beans of your dreams, all sweet, tangy, smoky and satisfying. I can't think of anything more comforting after coming in from the cold than sitting down to a big bowl of these beans while hats and mittens dry out by the fire. Next up was the Chicken Leek Shepherd's Pie (pg. 201). Mr. Feedbag loves shepherd's pie so it was an easy choice, and I love the simplicity of stovetop-to-oven dinners, of which there are several in the book. Making use of precooked ingredients like shredded chicken and leftover mashed potatoes, this dish comes together quickly, making it suitable not just for Sunday dinners but weeknights as well. Plus, there are leeks and cream in there, too. All good stuff. Add this one to your book shelves. You'll be happy you did. 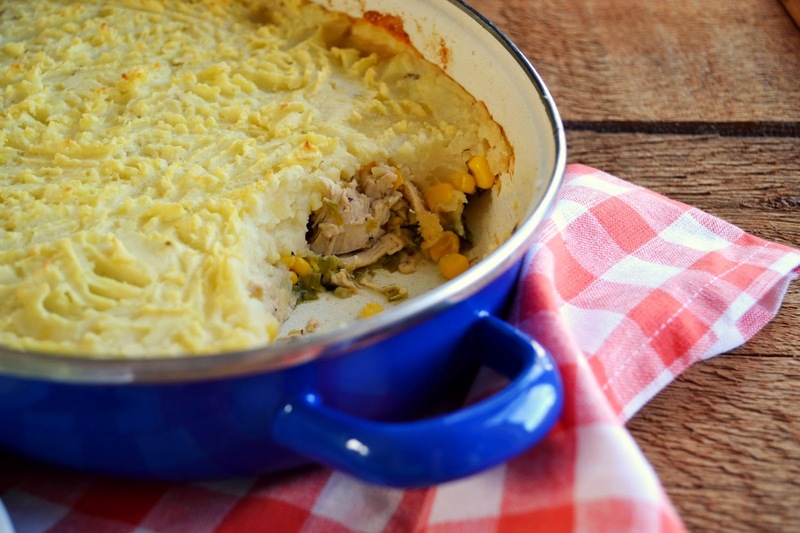 Scroll down to get the recipe for Chicken Leek Shepherd's Pie, plus your chance to WIN a copy of Brown Eggs and Jam Jars! Cover image from Brown Eggs and Jam Jars by Aimée Wimbush-Bourque. Copyright © Aimée Wimbush-Bourque, 2015. Reprinted by permission of Penguin Canada, a division of Penguin Random House Canada Limited. Photography credit: Tim and Angela Chin. From Brown Eggs and Jam Jars by Aimée Wimbush-Bourque. Copyright © Aimée Wimbush-Bourque, 2015. Reprinted by permission of Penguin Canada, a division of Penguin Random House Canada Limited. 1. Preheat oven to 350°F (180°C). 2. In a medium stovetop-to-oven casserole, melt butter over medium-high heat. Add chopped leeks; cook for 5 minutes, stirring often. Sprinkle with flour. Stir to coat the leeks in flour, scraping up any browning bits on the bottom of the pan. Slowly add chicken stock, stirring, and then cream. Reduce heat to medium-low and simmer for 5 minutes, stirring frequently. Sauce will thicken slightly. 3. Stir in parsley, salt, pepper and shredded chicken. Remove from heat. Sprinkle corn kernels over the chicken and top with a layer of mashed potatoes. At this point, the pie can be cooled, covered and refrigerated for up to 2 days before baking and serving. 4. Bake for 30 to 40 minutes, until the potatoes are light brown and the dish is hot in the center. Serve hot. 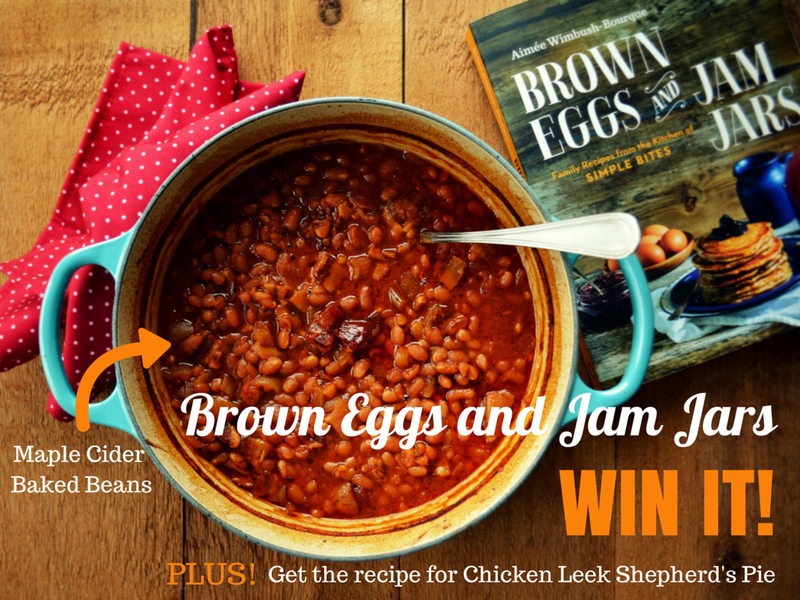 WINNING TIME: I have 1 copy of Brown Eggs and Jam Jars to give away. To enter, leave a comment on this blog post telling me why you want to get your hands on this book. BE SURE TO LEAVE AN EMAIL ADDRESS so I can contact you if you win! Canadian or U.S. residents only. One entry per person. Contest closes Thursday, February 19th, 2015 at 9 p.m. Eastern/6 p.m. Pacific. 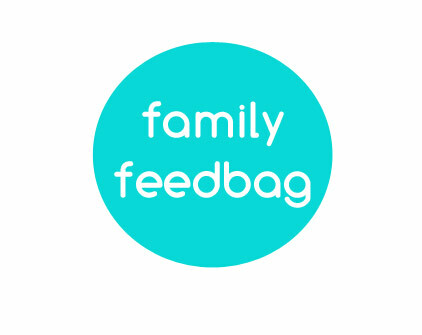 Winner will be contacted directly and announced on Family Feedbag. CONTEST CLOSED: Congratulations to Julia Baurain of Caronport, Saskatchewan who won this giveaway! Disclosure: The review copy of 'Brown Eggs and Jam Jars' was provided at no cost to myself by Penguin Random House Canada, which is also the publisher of my own upcoming cookbook. The giveaway copy of 'Brown Eggs and Jam Jars' is also being provided by the publisher at no cost to myself. 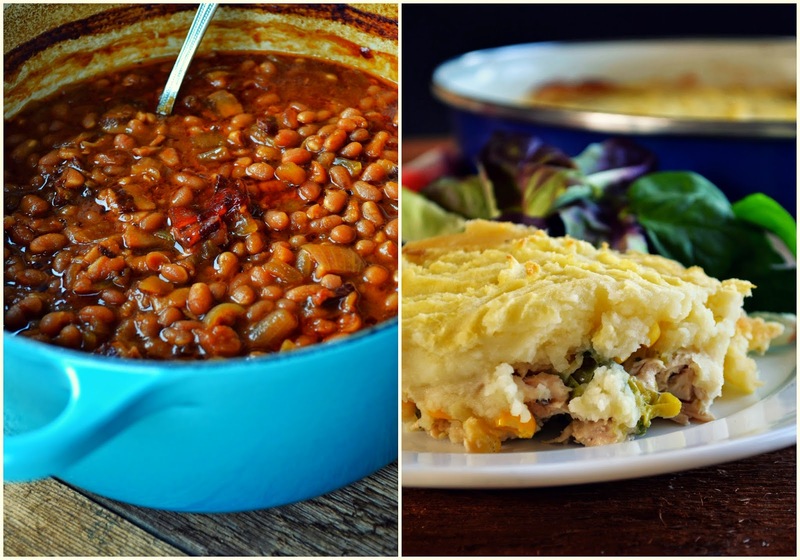 You had me at baked beans!! My son loves to cook and loves himself a giant dose of baked beans with his morning eggs!! This would be a great addition to our collection of well usedand loved cookbooks!! This book looks stunning - the recipes, photography, stories. I would love to have a copy of my own! I am so looking forward to this book. I love her blog (too!) and am very excited to try her recipes. Been hearing about this book and must make the beans!! I would love to get a copy of this book because I love the whole Simple Bites message and style! 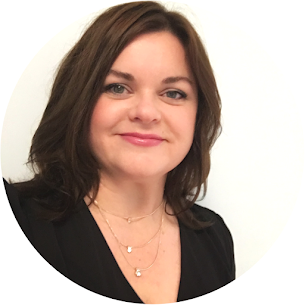 It's a great blog and Aimee is an awesome chef. Look at that pot of beans. I must have this book! Ooops forgot my email address. 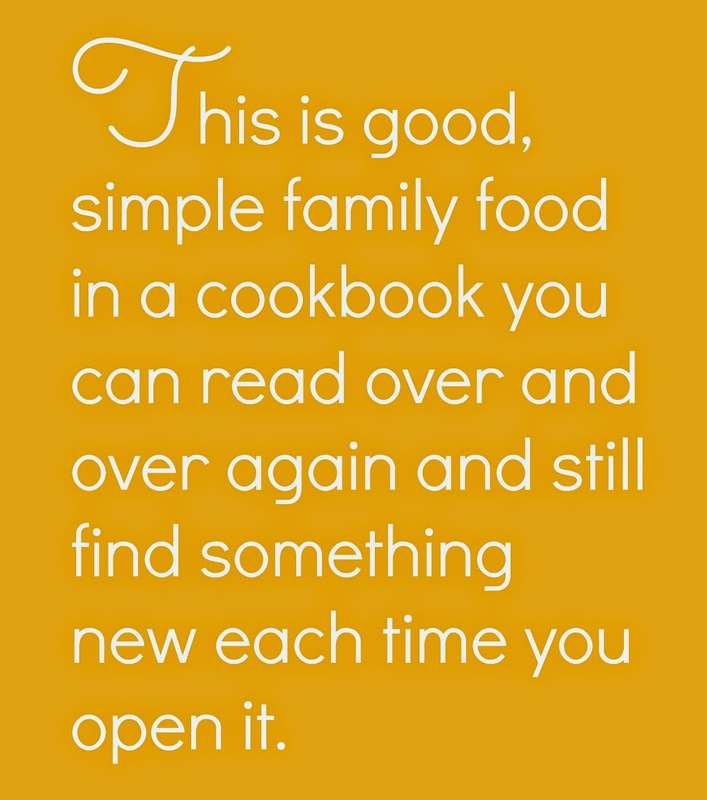 Love cookbooks and this one sounds Fabulous! Would love to win! I have been following Aimee for a while and would love to get my hands on her book! The photographers also did an awesome job! Any cook book with homemade preserves and a stack of pancakes on the cover has piqued my interest. My kids love breakfast (for breakfast and for dinner). Would LOVE to win a copy and check it out! I sure would like to win a copy of this book. It looks so beautiful, I just want to sit in a warm spot and go page-by-page, breathe in the photographs and enjoy the stories. Beauty aside, I think the real reason I would like a copy of this book is because it will make me cook outside my comfort zone. Thanks! Love the gorgeous pictures and I'm always on the search for new recipes! I'm a cookbook pig, so this would add nicely to my collection I think. Thanks for the opportunity. Well I love the blog, and I love cookbooks that are organized by season. Also it looks beautiful! 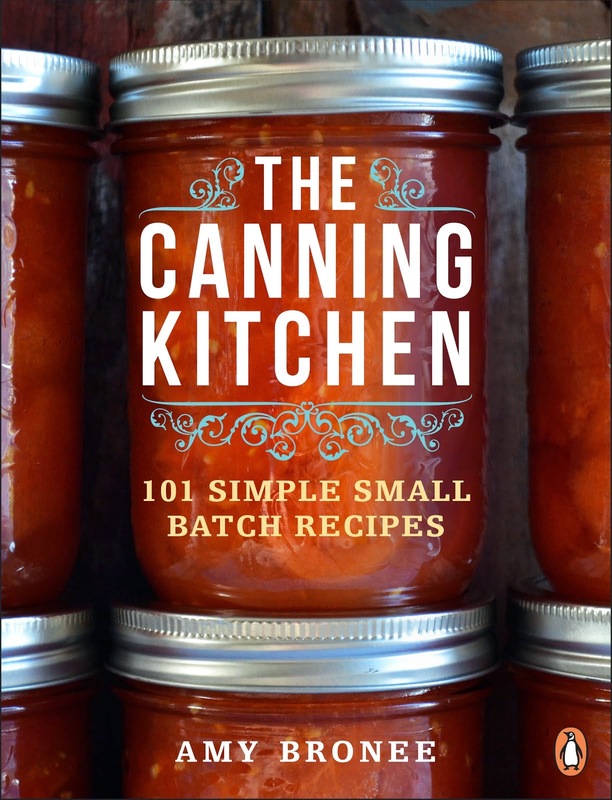 I would love to get into Canning and such, and Aimee's blog is just so informative and the book is sure to set me on my way! Thanks! Why you think you are not fit for writing project. I think you are fit for writing project. Your need more practice to prove your quality. Other ways essay paper writing will helped you to write famous essay. Love the cover of Aimee's cookbook and would enjoy displaying it on my shelf. Hmmm, I think it is a good recipe! I like such tasty food !I have a good advice for you! To perform well written work should be a have good idea, a lot of time and creativity! And best of all, seek help from professionals are very cool essay writing service! They know what to do!! !